Have you seen the latest Samsung SUHD 4K TV yet? 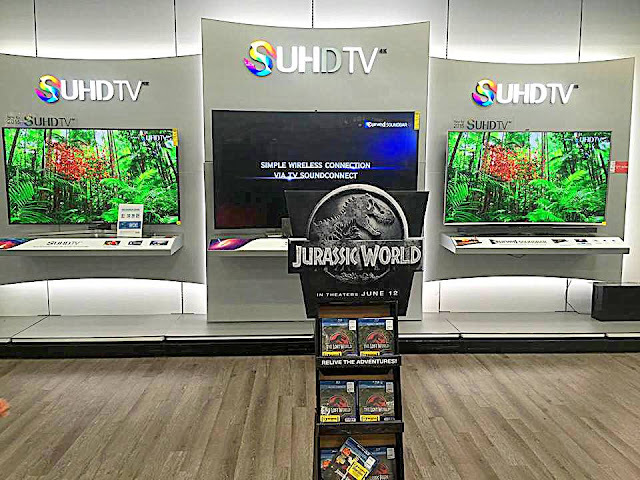 For anyone as indecisive as me about the innovative SUHD 4K TV from Samsung, why not visit your local Best Buy and check it out for yourself. Boy, you'll be amazed and blown away at the quality and clarity of this new SMART TV. The Samsung 4K SUHD TV completely redefines the viewing experience with revolutionary Nano-crystal technology – revealing brilliant colors and details you never knew were there. Enjoy expanded brightness levels with Multi-Zone Full Array Backlighting, and watch and play your way with Smart TV. With 4K SUHD TVs, now you can experience stunning colors, deep contrast, incredible brightness, and 4K resolution that redefines your TV viewing experience. 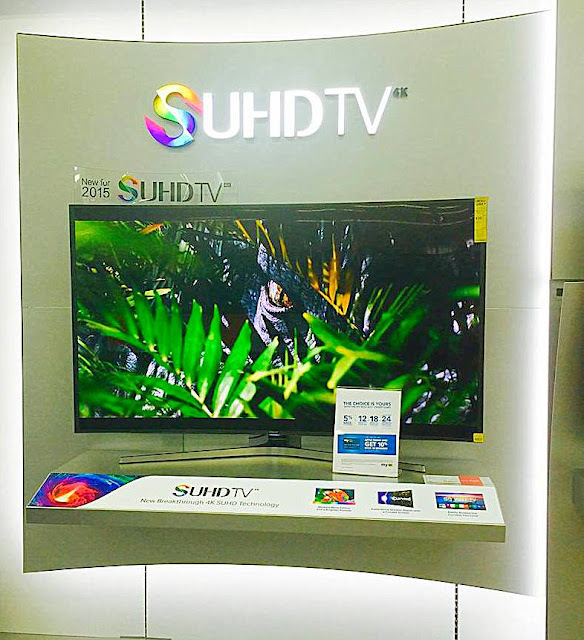 I had the opportunity to visit our local Best Buy last weekend and got to experience the awesomeness of SUHD 4K TV. I have to say that the new Samsung 4K SUHD TV is simply like no other Samsung TV I have seen. The colors are much improved and more vibrant. With it's incredible curved screen, it makes you feel like you are completely immersed. I'm impressed! For more details or would like to order, you should check out bestbuy.com or visit your local Best Buy and ask for special in-store an online savings of $500-$1000. This offer is valid from May 31st to June 13th only. Like them on Facebook or follow them on Twitter for updates and promotions. Incredible looking tv. I wish I could get one. Wow! Looks like a amazing tv. I'll have to look into this. I was looking into this tv a few days ago and you've convinced me to visit my local best buy to check it out :) Thank you for sharing! Wow... these looks like a great gift from me to the family... We only use one TV in the house and we have to change it soon because it is pretty old ha! What an amazing TV! We have been laughing about needing one for our living room for a while, but I know once we're in a new house, we will really consider it! Our favorite electronics store always has one of these on display and we are always in awe of it. It would be great for all of the sports watching we do! We've been eyeing this tv for a while now. What a nice TV. I wish I could get a big one like that. Oooo I'd like to see that tv, the curved screen sounds interestingly good!! Looks like a great TV. I should go to Best Buy and check it out. Wow, that is one MASSIVE TV, I would love one of those in our condo! We had to sell our flat screens when we moved, only bringing two with us. Sounds like a great Smart TV. The curved screen looks so good. I think this would be a perfect choice for my living room. Will definitely check this out in Best Buy. I haven't seen this new TV in person, but I've read a bit about it. I would love to play with it for a couple of days to get a feel for all of the features.